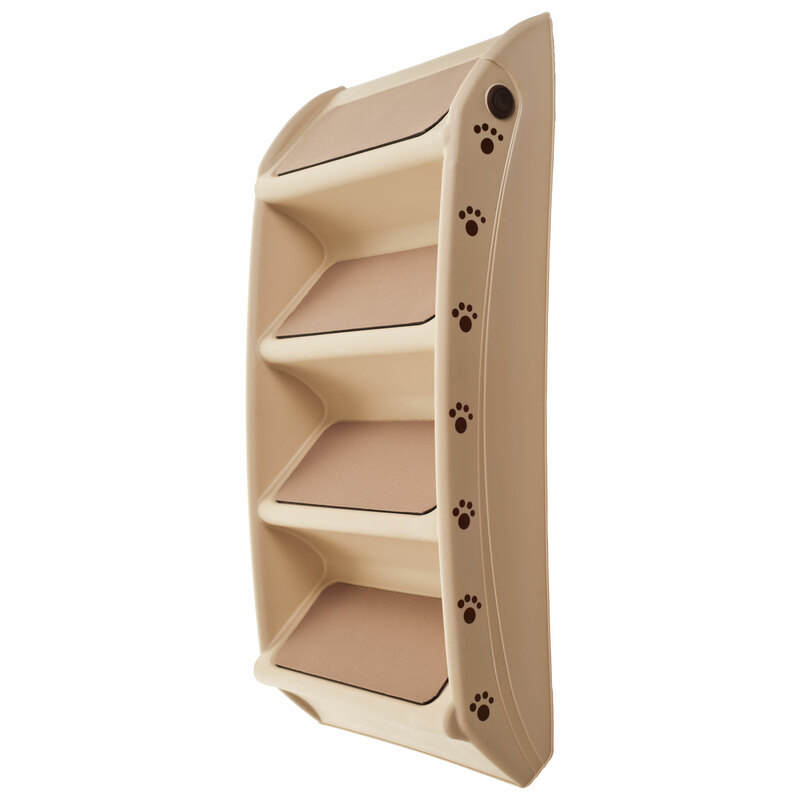 The PETMAKER folding plastic pet stairs help your pet get to their favorite resting spot or in and out of your vehicle. The 4-step design has built in safety features and is good for puppies, kittens or older dogs or cats that need a little help to get where they are going. 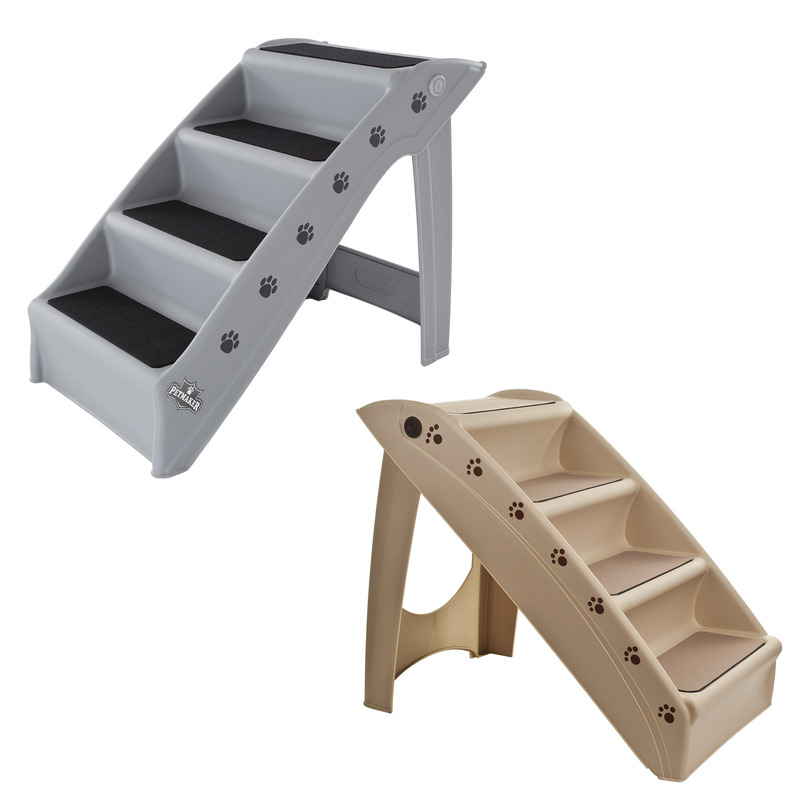 These light weight steps are easy to store and perfect for travel. IMPORTANT: Avoid buying counterfeit products and transacting with unauthorized sellers. Look for our logo on the packaging for every one of our products. Petmaker is committed to providing the consumer with the absolute best price and value on all of our products, which we ensure by applying a rigorous Quality Control process. Petmaker is a registered trademark protected by U.S. Trademark law and will be vigorously defended. DURABLE AND EASY TO CLEAN -Made of tough and durable plastic these steps are made to last and can be easily cleaned with a damp cloth and mild soap. They will look like new for years to come. 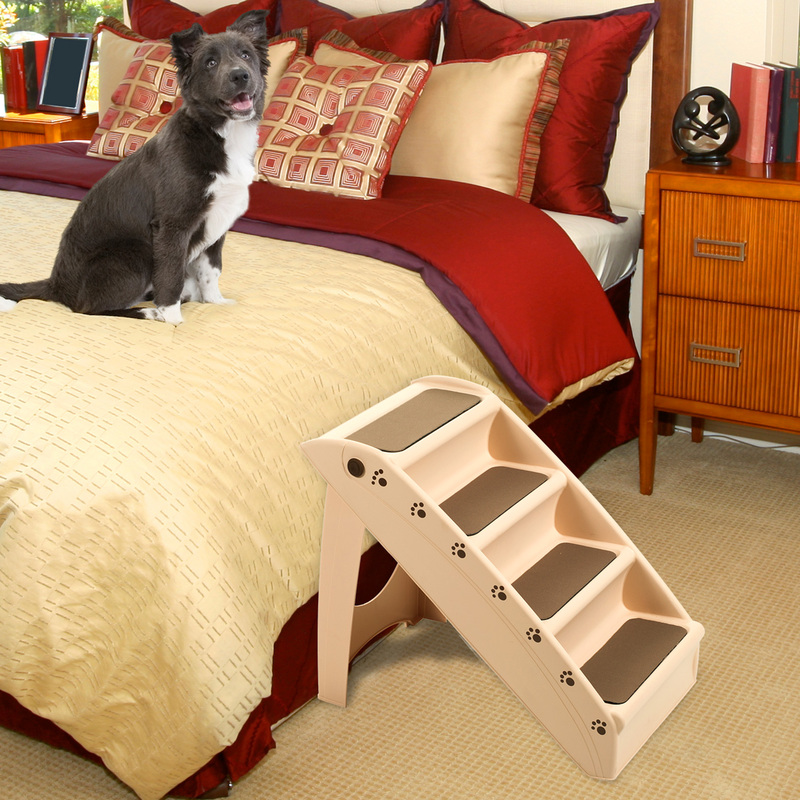 ADDED SAFETY FEATURES – The built-in side rails keep your pet secure while the non slip foam pads protect your pet and your floors. 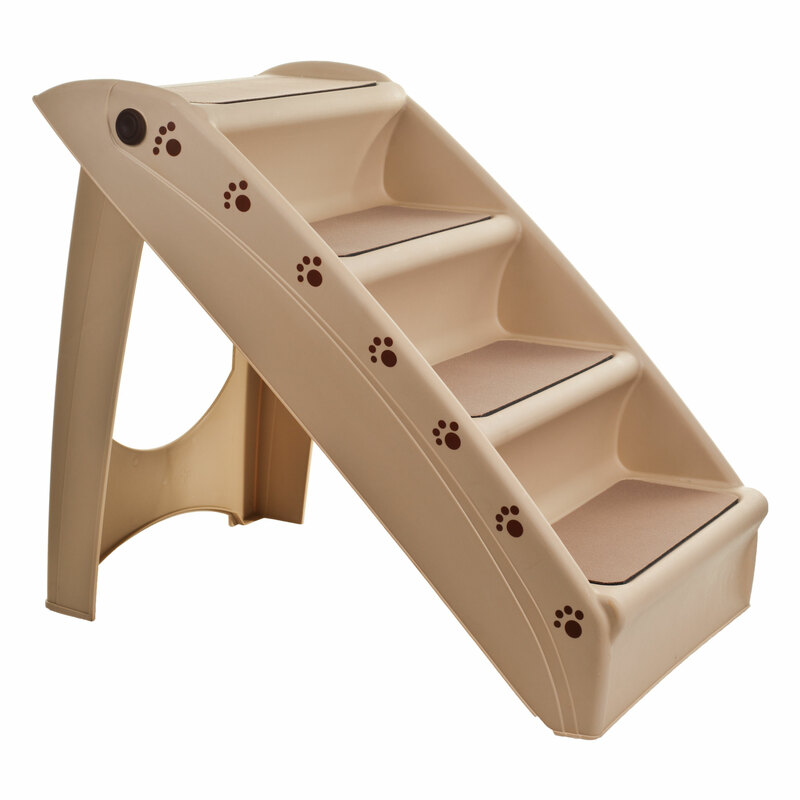 Adhesive back felt step covers give your pet better traction and the snap lock feature keeps the steps from collapsing when in use. PERFECT FOR TRAVEL AND EASY TO STORE – Great for indoor and outdoor use, buy an extra set so you can have one in your home and one in your vehicle for traveling. When collapsed these foldable, compact stairs fit easily in the closet, under furniture or in the trunk of your car. PRODUCT DETAILS – Recommended for small and medium sized pets. Can support a pet up to 120 pounds. Dimensions: When Set up 22.5 inches (Length) x 15 inches (Width) x 19.5 inches (Height), When Collapsed: 29 inches (Length) x 15 inches (Width) x 5 inches (Height) Color: TAN Not designed to hold people.